In our newest feature, High Scores, we take a look at some of our favorite video game soundtracks. First on the list? The Elder Scrolls IV: Oblivion. The music that accompanies our virtual experiences is often overlooked in videogame criticism, probably because for most it is neither a game-seller or a deal breaker. Dodgy controls, bad camera angles, ugly visuals and a poor story can all lead to a poor game, but rarely does one lambaste a game for having a poor soundtrack. This isn’t going to change any time soon, but that doesn’t mean we can’t appreciate the cavalcade of truly wonderful soundtracks which play backing to our hacking, slashing, running, jumping, and falcon-punching. On that note (pun intended), allow me to introduce you to a new feature: High Scores. There are some fantastic articles out there shining the spotlight on soundtracks of old, but I decided to take a look at the scores I’ve known and loved since my birth; thus most of these features will be focusing on game music from the past ten or fifteen years. 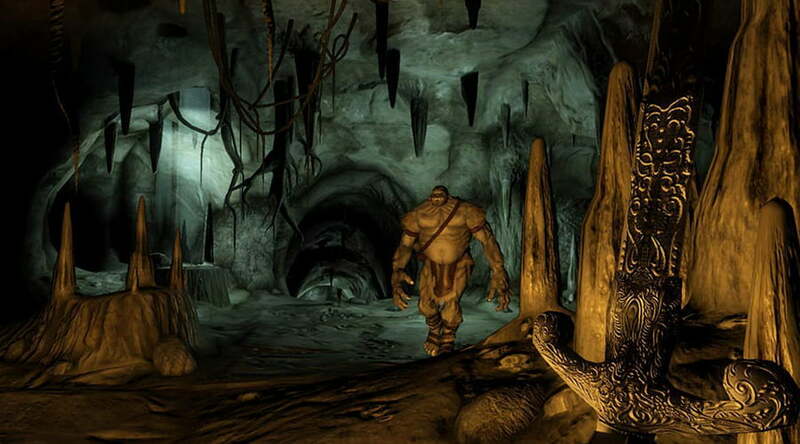 Expect plenty of PlayStation 2 and PC titles as a result. What do I know about music? Admittedly less than the great men and women whose soundtracks I’ll be writing about at length, but I play the guitar, I write music, I’ve played in bands and other ensembles, and I’ve studied music and music technology at minor levels during my time at secondary school, so I know my way around some terminology and basic principles. More importantly, my tenure reviewing games has helped me to identify and distinguish the good scores from the bad, though in my experience most game soundtracks tend to range from outstanding to benign and nondescript – rarely outright bad. For our inaugural exploration into auditory appreciation, I thought I’d choose an OST which has stuck with me for years, and has not only accompanied the game for which it was created, but also long nights of essay writing and sunny walks through English suburbia. I present to you: High Scores Volume #1 – The Elder Scrolls IV: Oblivion. First, some context. 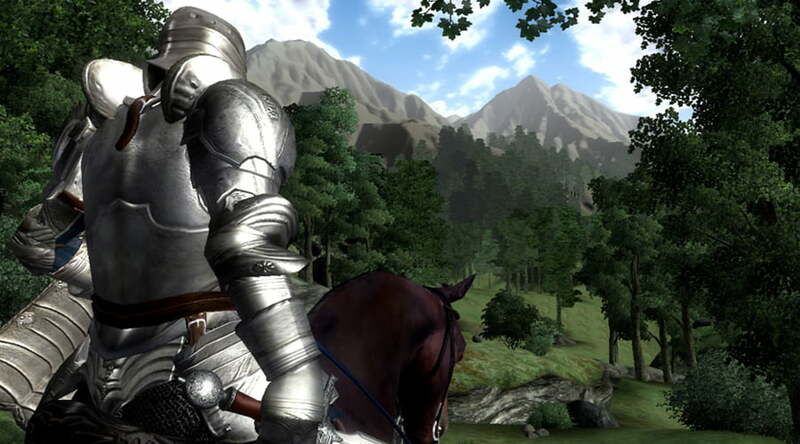 Oblivion’s score was composed by Elder Scrolls mainstay and industry legend, Jeremy Soule. If you’re unfamiliar with his name, it’s unlikely you’re unfamiliar with his work. Soule has composed for classic games by the likes of BioWare and Black Isle studios dating back to the early 90s, as well as a heap of licensed games based on franchises like Star Wars and Harry Potter. His compositions for the Elder Scrolls series is arguably Soule’s most celebrated and well known work, and with good reason: it’s pretty fantastic. Though Skyrim is certainly a fine game with a fine score of its own (it admirably conveys the juxtaposed cold loneliness and awe inspiring grandeur of Skyrim’s cliffs and peaks, so pu that on the box), it never gelled with me quite like Oblivion did, and Soule’s soundtrack played a big part in that. Skyrim‘s score simply didn’t come equipped with the catchy repeated motifs and hooks Oblivion wields so confidently. This is something that more expensive orchestral videogame scores often lack: an old fashioned knack for a great melody. So many modern AAA budget soundtracks fade into obscurity because they simply serve as a wall of noise to prop up a space marine or a soldier; a way to fill awkward silences. Oblivion‘s score does no such thing, though nor does it ever overpower the visual and interactive aspects of the game. We begin in typical Elder Scrolls fashion, with a pounding and sweeping Zimmer-esque “main theme”: Reign of the Septims, which quite adequately sums up the entire soundtrack in a single piece. Heavy, building anthems interspersed with softer pieces to convey different tones – perfect for a game whose tone varies so wildly. The score tackles the grandeur of the Imperial City or the gravity of the Oblivion crisis (in say King and Country) as masterfully as it does simpler themes and events, such as browsing the Imperial City markets (in Dusk at the Market). A personal highlight for me is Glory of Cyrodiil, a theme whose name would suggest a grand fanfare or the like. Instead we get a rather dark and mysterious piece which builds tension before easing into a calming groove. Whether the piece intentionally contradicts its name to make a point is something only Jeremy Soule knows, but I certainly find myself reading it that way. Governments, states and monarchies in the Elder Scrolls series have always been somewhat proud and flawed, so for this piece to be slightly uncomfortable actually makes sense. Other highlights would have to be some of the subtler pieces that experiment with different lead instruments. The peaceful plucking of Minstrel’s Lament, is a fine example, as is my personal favourite piece on the soundtrack: Sunrise of Flutes. This piece exhibits how Soule’s score can simply succeed at being…nice. So many composers seem afraid to (or are told not to) write more positive and hopeful pieces, and simply stick to grim darkness like a mudcrab to the shore. I think this is why I love Oblivion‘s score so much; it isn’t afraid to mix light in with darkness. When a game – and by virtue its soundtrack – is an everlasting onslaught of bleakness, it can of ten make us feel like there’s nothing even worth achieving/fighting for. In other words: when there are no highs, there is no context for the lows. What these pieces achieve so perfectly is a powerful sense of place. When you hear Death Knell you can almost feel the daedra pursuing you under red skies. When you hear Harvest Dawn you can almost feel the warmth of the morning sun as it illuminates the work and play of the townsfolk. These pieces put you right back into the world of Cyrodiil to relive those exciting and unpredictable moments once more. All good fantasy should draw you into its world, and a brilliant soundscape can often achieve this just as well as ingenious character design or clever writing. Soule’s score shows you the good, the bad and the ugly of Cyrodiil, and it’s unafraid to take you by the hand and guide you through its lush fields and dank caverns. Hands down one of the most memorable games soundtracks I’ve ever listened to, I still play a few tracks here and there when I’m deep into work.